In my 9th grade geography class, Mr. Ferguson had several standard rants he liked to visit on us, like how high school freshmen were not yet fully human. We all had the potential of full humanity, and in a few more years we could achieve it, with work. We were halfway between primordial ooze and human. At the time I thought he was funny and slightly mean, but probably wrong. I was living in Joshua Tree and going to school in Twentynine Palms. Almost three decades later, I’m back living in Joshua Tree and working as a therapist in Twentynine Palms, and I’m thinking he was probably right. I don’t know about people getting less hip as you leave LA–it’s arguably true, but depends a lot on your values and aesthetics–but look at this map of population density and you will see that I do live on the edge of civilization. (Click on it for a clearer view.) Joshua Tree and Twentynine Palms are the last two splotches of orange (at least 100 people per square mile, no more than 250) heading east out of LA. Just east of us is all fewer than 10 people per square mile for an hour’s drive, then less than 1 person per square mile for another hour. It’s beautiful country, but desolate. I am now working at Morongo Basin Mental Health, as a therapist for their Military Services and Family Support Program in Twentynine Palms. It’s a cool program, offering free and confidential individual, couple, and family therapy for active duty or recently retired military personnel and their families–basically anyone with a military ID. I had no idea that this kind of thing was going on. 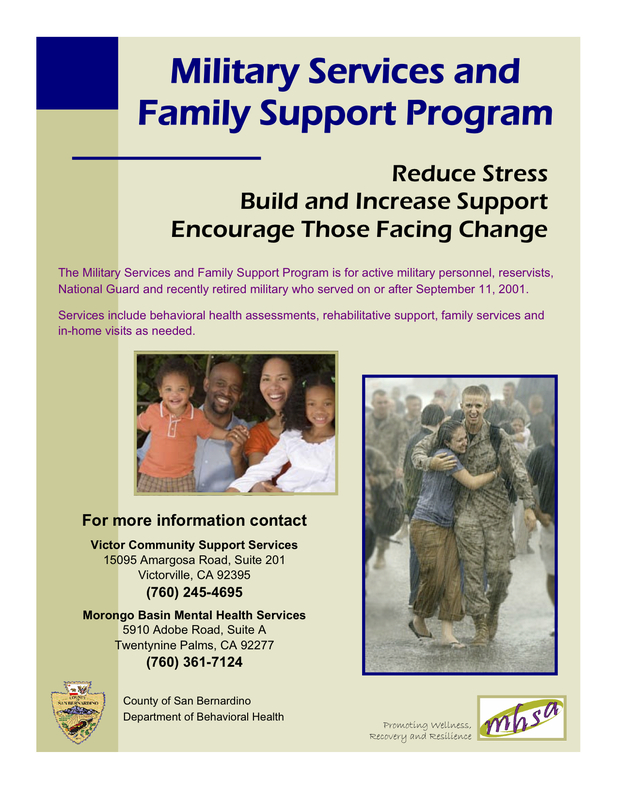 It’s fully funded (by San Bernardino County, I believe) so that cost is no bar to getting help for military families, who can sometimes struggle financially. And it’s fully confidential, unlike the mental health services on base. There is a widespread and not necessarily irrational belief among service members that seeking support is not good for your career. I’m happy to be part of this program. (And it’s a trip to be working down the street from my alma mater, 29 Palms Jr. High!) The only downside is that MSFSP is severely underused right now. We could be helping several times the number of people we are now. If you are in the Morongo Basin, please spread the word!